Mission IELTS 1 General Training Supplement aims to help students achieve their potential for success in the IELTS General Training Module. 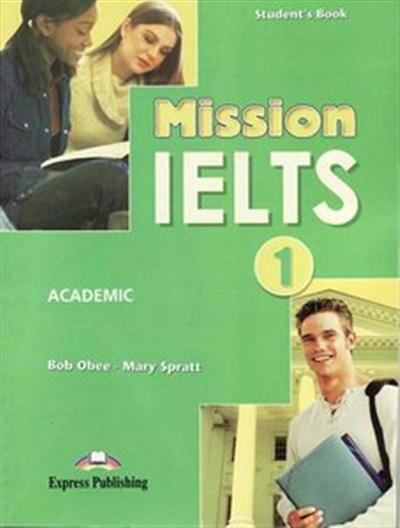 This book can be used either as a stand alone short course for the specific General Training Reading and Writing papers or as part of a comprehensive course of preparation for the whole test in conjunction with the Listening and Speaking units of Mission IELTS 1 Academic. Each unit in the General Training Supplement is thematically linked to one of the Speaking and Listening units in the Mission IELTS 1 thus providing for an integrated and more comprehensive course of General Training Preparation. Candidates studying for the General Training IELTS test should use the Listening and Speaking Units of Mission IELTS I SB and WB and the Mission IELTS I (GT) Supplement which covers the (GT) Reading and Writing test content. Candidates studying for the GT module will also gain much useful language input from the reading and writing units of Mission IELTS 1 SB. please send me this book. Can I get this book? Please send me this book , As i am unable to download it . Please do send me this book ..ielts mission for GT as i cant download it.